Bitcoin price is holding an important support at $8,000 against the US Dollar. There is a significant bearish trend line in place with resistance at $8,300 on the hourly chart of the BTC/USD pair (data feed from Kraken). The pair must clear the $8,300 barrier to resume its upward move above the $8,500 level. 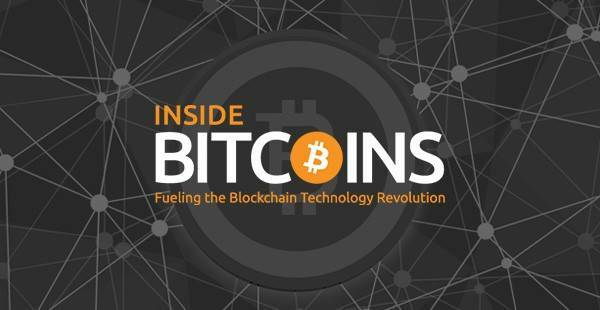 Bitcoin price is consolidating gains above $8,000 against the US Dollar. BTC/USD could trade to new a monthly high if it succeeds in settling above $8,300. After declining below the $8,000 level, bitcoin price found support near $7,800 against the US Dollar. The BTC/USD pair trimmed most its losses and traded back above the $8,000 level. There was even a break above the 50% Fib retracement level of the last drop from the $8,503 high to $7,800 low. The price settled above the $8,100 level and the 100 hourly simple moving average. However, the upside move was capped by the $8,300 resistance. More importantly, there is a crucial bearish trend line in place with resistance at $8,300 on the hourly chart of the BTC/USD pair. The same trend line is close to the 61.8% Fib retracement level of the last drop from the $8,503 high to $7,800 low. Therefore, a successful close above the trend line and $8,300 resistance may perhaps open the doors for more gains. BTC price could jump towards the $8,500 high. Above this, the price will most likely accelerate gains above $8,550 and form a new monthly high. Looking at the chart, the price is struggling to clear the $8,300 barrier. Should there be a downside reaction, the $8,100 and $8,000 supports levels could be tested. Below $8,000, bitcoin may possibly face an increased selling pressure. Hourly RSI (Relative Strength Index) – The RSI is currently moving lower towards the 40 level. 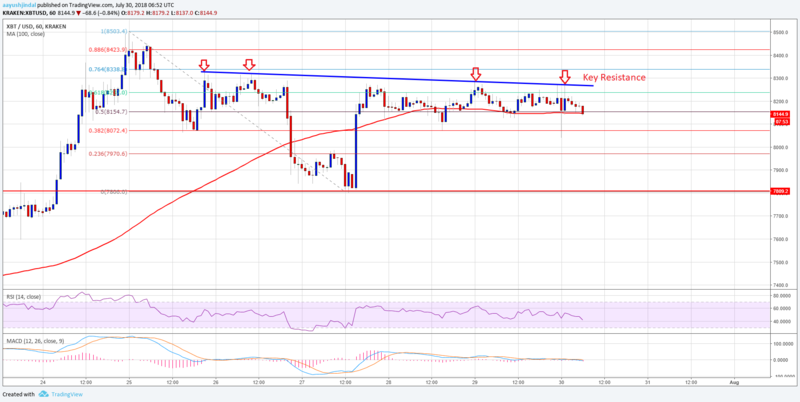 The post Bitcoin Price Watch: BTC/USD Must Break $8,300 To Resume Uptrend appeared first on NewsBTC.